Simply Instagram is a versatile Instagram plugin that lets you share images in a number of ways. Enjoy Instagram can be used to display your Instagram images in a carousel or in a grid. Yakadanda Instagram features a cool profile widget that promotes your account. Instagram Theatre can be used to showcase your Instagram images to visitors. Instagram Recent Photos Widget Pro gives you a lot of control over how your Instagram images are displayed. I’m never really interested in instagram widgets but there are clients who demands for a widget. This will come in handy at that time. Thanks Kevin for the write up. Do any of these work with Divi? Nice collection kevin !!! Just use instagram plugin for clients. Mostly used Simply instagram plugin. Didn’t use any premium plugin. Nice article and suggestions Kevin. I’ve looked around for hours and have tried out many different Instagram plugins myself and have come to favorite Alpine PhotoTile for Instagram. But haven’t heard of some of these other ones you listed. Thanks for sharing! To answer Jeff’s question about working with Divi, I’m currently running four sites with Divi & Alpine PhotoTile for Instagram and haven’t had any hickups at all. Have a look on this new widget http://elfsight.com/instalink/. It’s simple and with most needed options. We’ll glad to hear your opinion about it. Thanks for the post–one of my current clients put a high emphasis on integrating their Instragram. Is responsiveness built into any of the free plugins, or at least easily adapted within a responsive theme? These are cool plugins. I just started using instagram for the readers on my new website, it’s addictive, but I think Twitter is worse! Thanks for suggestions. For me Alpine PhotoTile for Instagram is working. It works like a charm. Good collection of Instagram WordPress plugin resources. Hi, kevin. Thanks for a great post. I am searching for a widget that might output slider images in one column(small thumbnails,vertically aligned), along with a section of current/recent image(second column) with imgae text(third column). I could not find anything like this so far. Could you guide me? Or towards a tutorial for building a custom widget? Thanks for steering me toward Enjoy Instagram. I tried three other Instagram plugins that simply didn’t work which was awfully frustrating, but Enjoy Instagram did the trick. mgg I really don’t like plugins, I think widgets are much easier to set up! the plugin “Enjoy Instagram” has now a premium version with new features. Some configurations on all: Autoreload and Moderation panel. Great list you got there! I am no big fan of Instagram (yet) and I didn’t know there are soooo many Instagram plugin for WordPress! Going to check them out and who knows right? 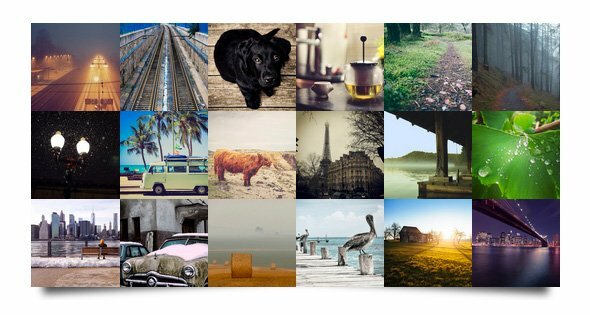 Very good collection of Instagram plugin. This will help me if client request for Instagram installation on their wordpress site. 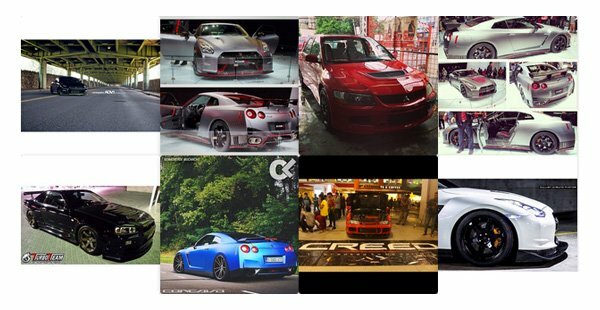 nice collection, thanks for share! Great plugin roundup. I’ll have to check these out! I need a plugin that will allow me to add an Instagram Caroussel to the bottom of my page, like http://www.revolveclothing.com. Any tips? Cacheable is an asset! Hey! WP Social Media Slider could do that with a little bit of customization. The templates in WP Social Media Slider are fully customizeable, and they already bring in all of the Instagram data (multiple sizes of images, username, etc.) I maintain it, so feel free to ask any questions if you’re interested! Still think Instagram Feed is the best plugin yet but it’s not even on the list. We’ve expanded our platform to not only include Flickr slideshows but also Instagram slideshows as well. It’s a free online slideshow creator that generates html embed codes with some cool background and caption options! Slight newbie here — but do these widgets work on wordpress.com or just .org? Thanks, very helpful article! Hey Lauren, no biggie. Everything this blog writes about has to do with WordPress.org. The major difference between WordPress .org and .com is that .org is free, open source, and self-hosted. The .com iteration of WordPress is a hosted product by a company called Automattic–which was created by Matt Mullenweg, the initial creator and founder of WordPress. Thanks for the great article, but still trying to find a instagram/fancybox plugin like instafeed that will play instagram videos in the popup window. Is there any think like that our there? For such purpose I recommend to check Instagram feed InstaShow. I use it myself to display Instagram photos and videos and to open them in popup – everything works fine! Yeah I’ve just started a coffee blog where I will be mostly posting through instagram. 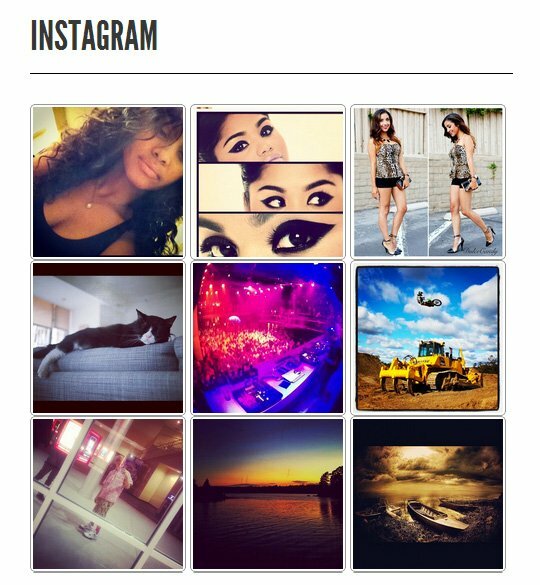 I’m working with my developer and we looking at which plugin to use for a Full width instagram grid or photo tile on my home page. Alpine PhotoTile used to be the best of its class, but regrettably, it’s no longer being maintained. It may be worth updating the post to that effect. Anybody know of a way to insert and Instagram widget into a module so that you can get a horizontal full-page end-to-end look similar to photo gallery? Echoing Tanya, I’d also like to know if it’s possible to do a horizontal full-page gallery with Divi made up of an Instagram gallery (auto updated). I am working with a client who wants the instagram feed to automatically update in real-time without having to refresh the page.